We identify and measure the values that are actually shaping your organization’s culture. Why is that important for you to know? Values drive behavior. If you want your organization to succeed, you need to know whether top management initiatives will be supported by the values embedded in the organizational culture. And that's exactly where we can help. By using our universal values framework, you will be able to see which values are most strongly embedded in your organization’s culture, and identify the gaps and misalignments that are inhibiting your performance. Before you embark on your next strategic initiative, get an accurate evaluation of your organization’s cultural landscape. 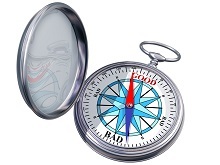 To find out more about why and when to measure values in your organization, please click here. 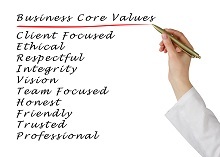 Why are organizational values important?